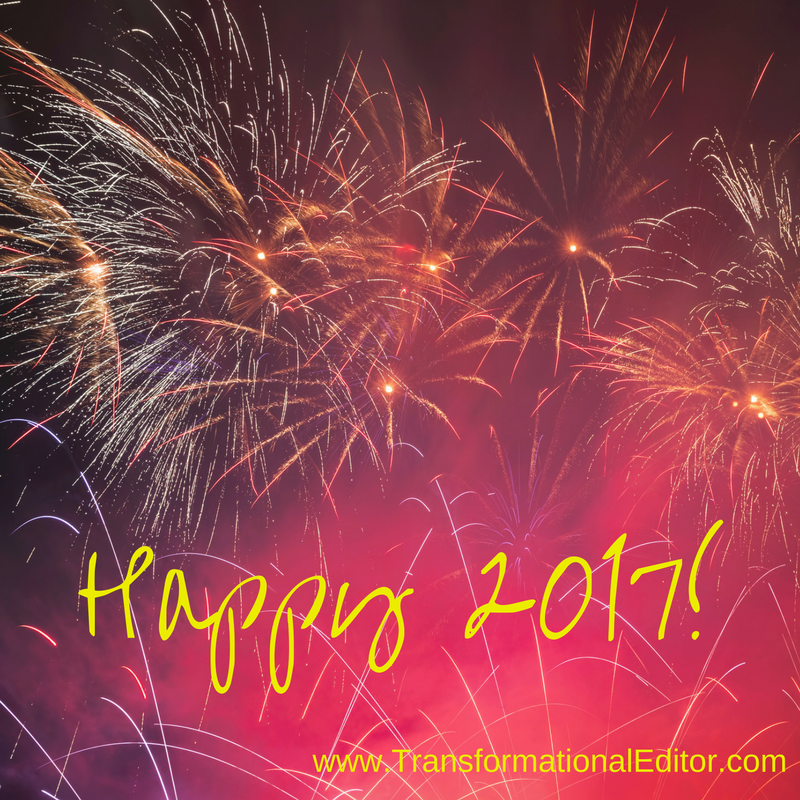 Did you hear that thundering boom as we stepped into 2017? It was probably the remaining reverberation of the first fireworks in my neighborhood—set off before 7:00 am on New Year’s Eve. It shook the house so hard, I thought a neighbor’s propane tank had exploded. No matter when or where your fireworks took place, they heralded the appearance of new, limitless opportunities for your coming year. Think of it as if you’re turning a sharp corner and discovering an endless hallway lined with doors. Some are open, the light within shining in invitation. Others are barely ajar, allowing only a glimpse of light around the barrier. A few are tightly closed. You feel like you’ve shown up to a smorgasbord with no idea of what’s on the menu. It’s up to you to find out what awaits behind each door and determine if it’s to your taste or not. These are the chances you approach with more caution. It’s harder to see what this opportunity might deliver to you or require of you. You may have to do some digging to get to the meat of this feast. There may be some delay in gratification for you. If you’re up to the challenge, this opportunity may help you grow as a writer and deliver you to another door to explore. These are the doors to which you have to apply some muscle to excavate the treasure you can’t even see at this point. Making your own opportunities takes a lot more work than finding the ones beyond the open, beckoning doors. Sometimes, it turns out to be solely a learning experience with no discernible return on your investment. But more often you’ll find some advantage that brings you a fuller, richer reward than if you’d settled for the prize beyond each open door. All that remains, this first day of 2017, is for you to decide if you’re going to take the easy path in your writing or dig deep for lasting success. Where will you be standing this time next year? Beyond the door where room service dropped everything you wanted in your lap, but you didn’t grow as a writer? Or in the beautiful chamber you hand-crafted from the studs out after kicking the door down with your combat boots? If you’d like to work with me in 2017, I’m currently setting my schedule for the next four months. Email me at Suzanne@TransformationalEditor.com and let’s start a conversation about how I may help you attain your writing dreams.